Building scaffolds on solid ground is one thing. Building them over water adds a greater level of complexity. Alphasafe specialises in scaffolds built above water and has developed a range of engineered scaffold and swing stage designs that achieve height access safely and cost effectively. 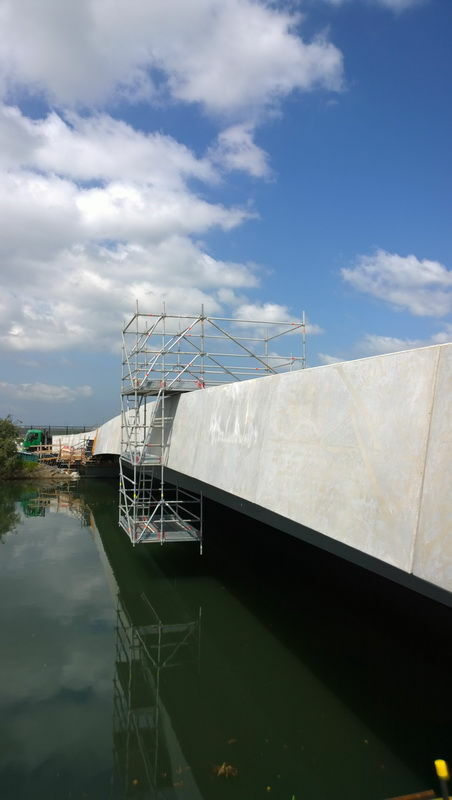 Without the presence of solid ground to build from, our scaffolds over water are typically suspended, floated, or cantilevered to provide safe access. Not only do our scaffolds over water achieve access to challenging locations, they can also improve safety and in many cases eliminate risks. 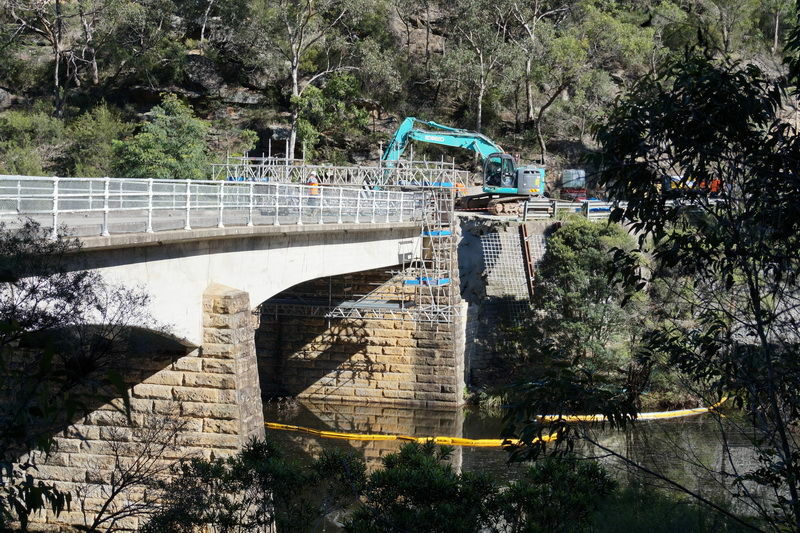 This scaffolding solution achieved access to the full bridge for a fraction of the cost and reduced risks. 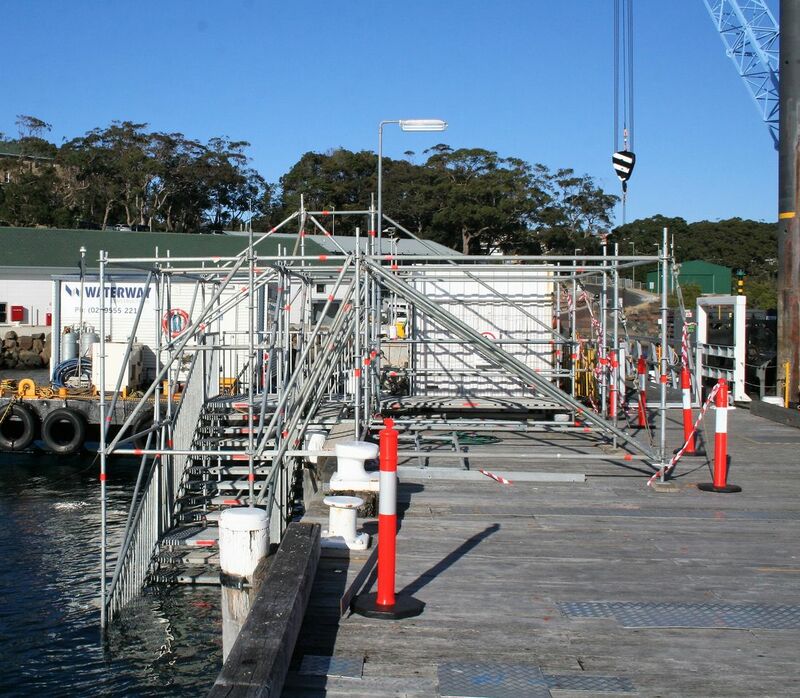 Cantilevered suspended scaffold stair over water for wharf egress. Designed to gain access to the underside of a bridge with a mobile scaffold.